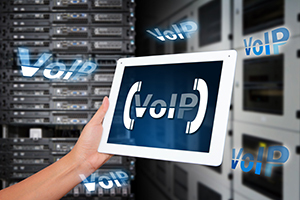 VoIP is the abbreviation for Voice over Internet Protocol and this works by changing an analog audio signal emanating from a source, into digital signals. This signal is transmitted from its source using the internet, to its destination. VoIP apps use your 2G mobile internet connection to transmit signal, this is completely different from a traditional telephone which transmits a signal through a physical connection. Below are some VoIP apps that work well on a 2G EDGE network. Skype is a VoIP app that helps people to communicate, using their 2G EDGE network on their mobile phone. The quality of a call is not affected as the Skype app supports 2G EDGE network. However, it is important that the user is aware of the server that they are connected to as the server must be able to support the app. It is not enough to install Skype on your mobile phone, you must ensure that your mobile service provider also supports the app. Some apps will use your carrier for calls, while other apps will use your internet for calls like Skype will use your internet for calls, hence its ability to work well with 2G EDGE network. It is available on google play store for download, and it takes a very short time to set up, you can start using Skype to call your friends who already have a Skype account for free within minutes of downloading the Skype app from the google play store. You also spend less when you use your Skype app to call your contacts directly on their mobile number, this is cheaper than the charges you will incur when you use your local service provider. The use of VoIP apps such as Skype in business operations is a modern approach that has drastically changed the way businesses operate. Skype provides high definition audio and video conferencing, team messaging functionality, and other feature that are very important for businesses. This is why most businesses, both small-scale, mid-size and large corporations now use Skype for official meetings and communication. Advantages of using Skype include business operation flexibility, business process mobility, cheaper cost due to less hardware requirement, increased capability and features, and reduced cost in infrastructure. VoIP Mobile Dialer App is a product of Ecosmob Technologies, it helps Android phone users to call other users who have the app anywhere in the world. Its unique value is the possibility of making calls that have crystal clear quality, using your 2G network. Mobile Dialer is able to achieve this because of its combined use of both VoIP and Mobile technology, that allows users to convert your smartphone into a mobile SIP soft phone. This app works by using Session Initiation Protocol (SIP) to start, convey and segment the calls. The Sessions Initiation Protocol (SIP) is a type of signaling protocol that helps to commence, control, continue and stop audio, video and messaging sessions that happen in real-time. It is used in applications of internet telephony for both video and voice calls, it is a text-based protocol that combines the Hypertext Transfer Protocol (HTTP) and the Simple Mail Transfer Protocol (SMTP). VoIP Mobile Dialer App allows businesses to use the mobile app, both small-scale business, VoIP service providers, corporate businesses, non-profit organizations and startups can benefit from the advantages which include easy integration on different devices, ease of use, customized user interface, high video and voice quality, lower cost of communication, availability of more advanced and customization features, wide range of codec support and availability on more than one operating system. Features available on the VoIP Mobile Dialer App include call statistic, call timer, instant messenger, file sharing capability, image sharing capability, quality of service, address book, voice call functionality, video call functionality, the last call redial functionality, call history, call-related features, secured and encrypted communication, user friendly interface, call transfer functionality, call forwarding functionality, call retrieve functionality, call holding functionality, integration capability with already existing phone-book, support for various video and audio codecs. Private individuals can also use the callback feature anywhere in the world to make high-quality international calls that are cheaper than traditional calls. It is unique since it does not require any access numbers, it connects directly to your landline or cell phone number, and then connects with the person you are trying to reach. The OneSuite App allows you to save on wireless international roaming when you travel to a foreign country. In most foreign countries, inbound calls to your mobile number are not charged, thus, the OneSuite mobile app allows you to call any foreign number at cheaper rates than roaming. Zulu UC unifies the most popular business communication tools & applications enhancing user productivity and mobility, for Pulsar360, Inc. phone systems. It is about putting the user at the center of their workstation with tools built around their need, and so intuitively designed. Simply put, the user will always have the tool they need always available and exactly where they need it to be at the time they need it. Welcome to your new command center for business communication.